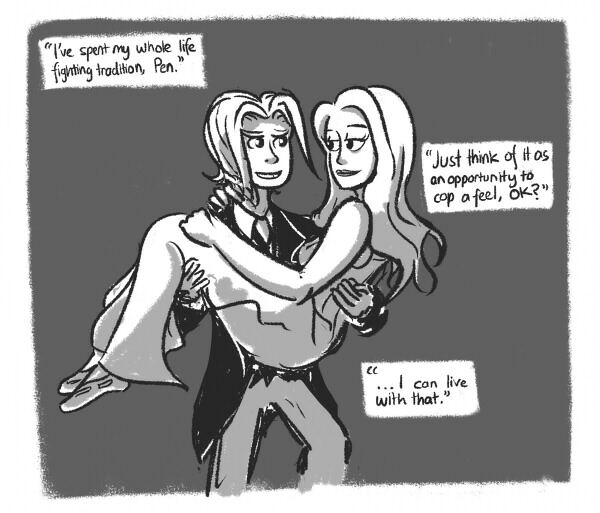 In fact, I'm not even sure that's a costume, 'cause only through fey magic could that stay on. I'm thinking those crescent moon (on black background) and sun patterns are part of his actual skin. Caught up on everything past July yesterday. Did you know the links are missing from the main page for August and the Epilogue? Had to game the URL linking systems. Penny is still significantly harder to draw than Aggie. No offence to Jason, but I really felt the comic's storytelling effectiveness was at its peak with Gisele; I kind of wish I was in the alternate universe where she had finished off the comic. Still. Loved it. Not really a big fan of the 'read into it' style endings but, you know, whatever. Very sweet, Lum. I particularly like how you rendered Penny. This very silly piece takes its inspiration from this Shortpacked! 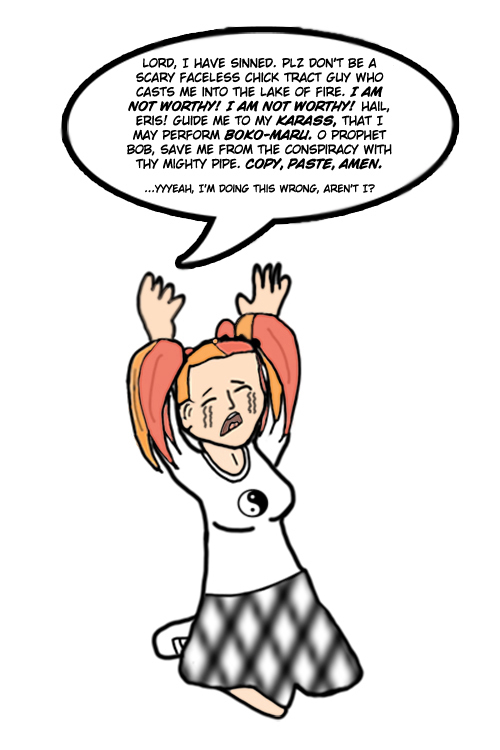 strip, which in turn parodies fanart someone made (apparently intended seriously) of Scooby-Doo's Velma repenting. I coloured Gisèle's 2011 P&A pinup as seen on the home page. Last edited by Alice Macher on Fri Sep 06, 2013 6:16 am, edited 2 times in total. Very nicely done on both of those, Alice. http://lorneglomper.deviantart.com/art/ ... -446945858 TW suicide. I wrote a P&A creepypasta. 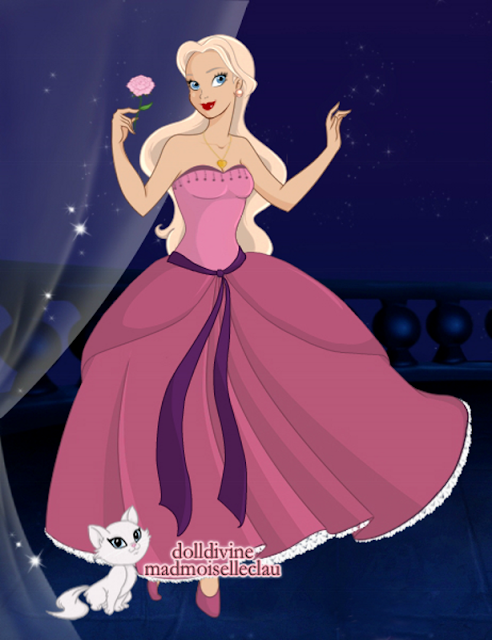 I made a Disney Princess Penny with the Doll Divine Princess Maker. Shortly after Tamar made the last post, I did Makeover Aggie but forgot to post it. Pet rats not supported, eh? And yeah, in Doll Divine you gotta work with what you have. Thus Charles in my Princess Penny effort being a kitten.